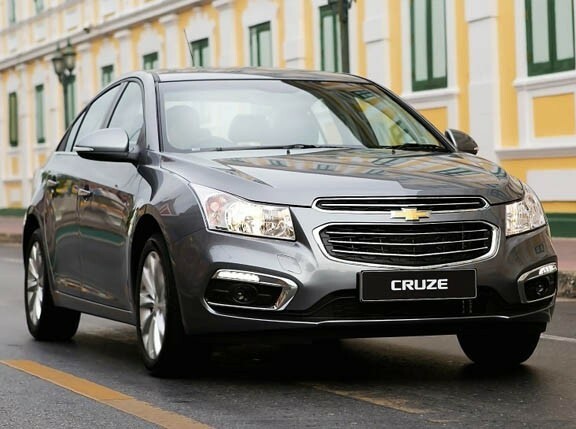 Remember the Chevrolet Cruze? Just in case you forgot, General Motors actually has a contender in the compact car segment, doing battle with the likes of the Toyota Corolla Altis, the Honda Civic and the Mazda 3. While it hasn’t been making much noise lately, this particular model made headlines back in 2010 when the American brand made a comeback into the country via The Covenant Car Company Inc. 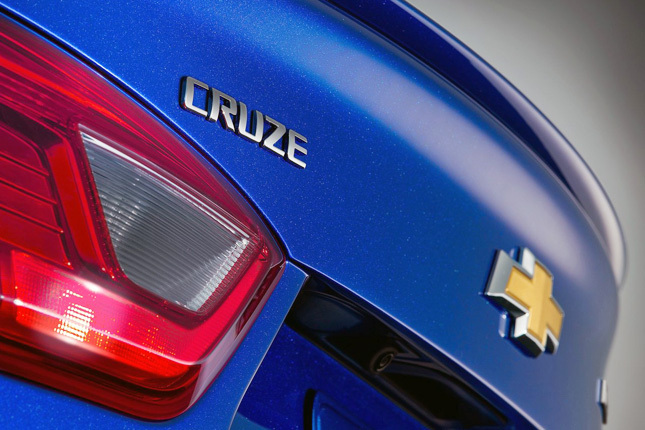 The Cruze, they said, symbolized what the new GM was all about--leaner and meaner. 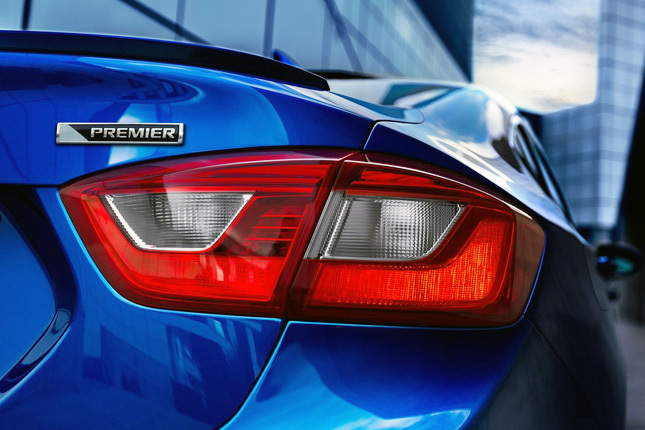 It’s been roughly five years and what do you know: A new Cruze has just been introduced. 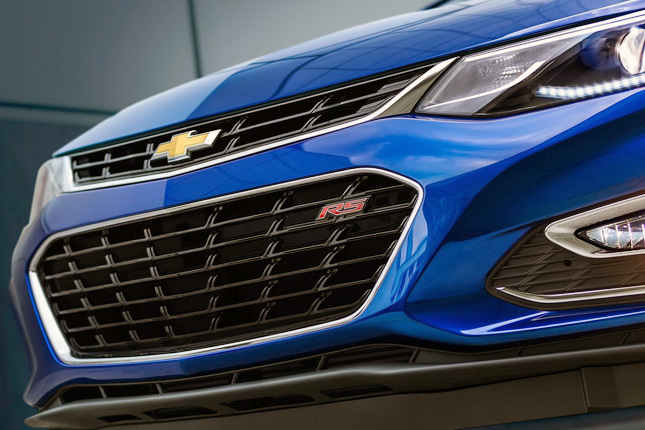 While the first-generation Cruze looked pretty stylish, this new model takes styling cues from the brand’s own Volt--making it look really cool and sporty. The overall design has a more rakish stance and sleeker profile. The new car is, in fact, 68mm longer yet has a 25mm shorter height than its predecessor. 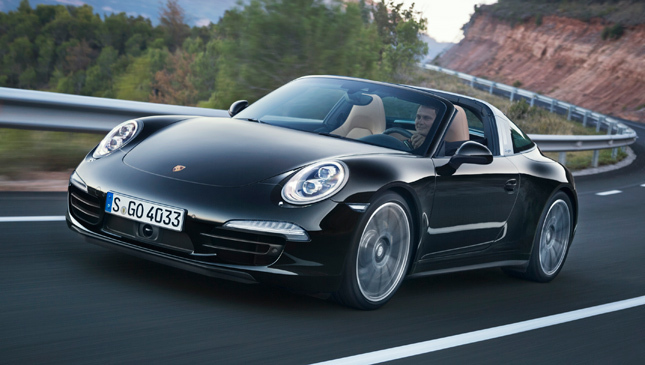 The look is enhanced by a more sloping windshield and rear greenhouse for a meaner appearance. To avoid making the car look like a sleek yet bland vitamin capsule, GM designers incorporated layer lines on the hood and side profile to give the exterior a sportier vibe. Moreover, touches like advanced projector beam headlights and daytime running lights, piano-black and aluminum accents, and a roof-mounted third brake light all combine to make the car look more sophisticated as well as giving that extra ounce of safety. Oh, and GM claims that all these elements make for a slippery 0.29 Cd (or coefficient of drag). Weight has also been reduced by a whopping 113kg. 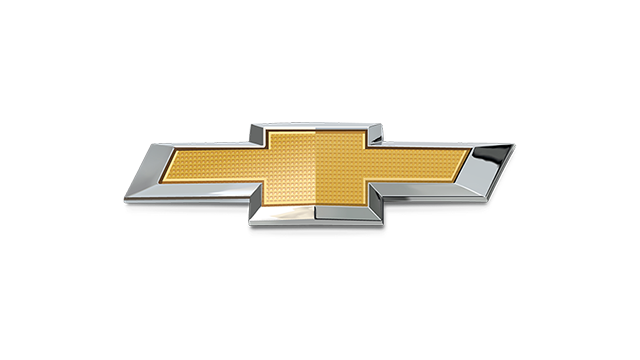 The all-new Cruze will be powered by a new range of Ecotec engines that feature direct injection and turbocharging for optimum power and fuel economy. The US market will get the direct-injected and turbocharged 1.4-liter four-cylinder that puts out 153hp and 240Nm. While these figures put it squarely in 2.0-liter territory, fuel economy has been rated at a miserly 17km/L. Other engine choices include a normally aspirated 1.5-liter four-pot putting out 113hp and 146Nm, as well as a new B20-capable diesel engine that will be fielded sometime in 2017. The 1.5-liter mill can be had with a five-speed manual, while the 1.4-liter turbo will be paired with GM’s new HydraMatic GT35 six-speed autobox. 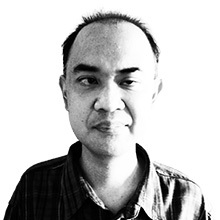 Stepping inside the cabin reveals a more upscale environment. 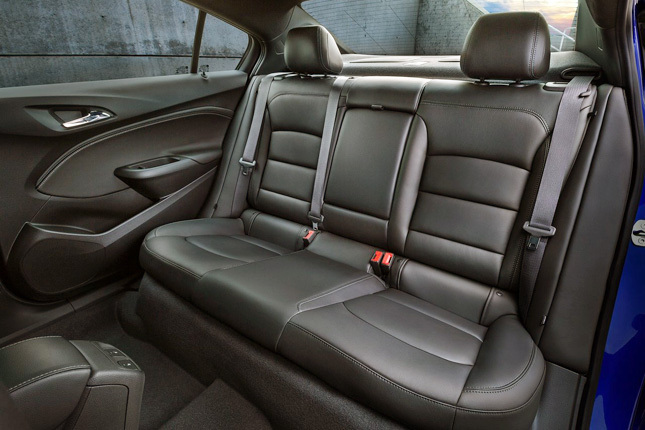 Swathes of bright accents, piano- and matte-black trim, and even leather line the interior. 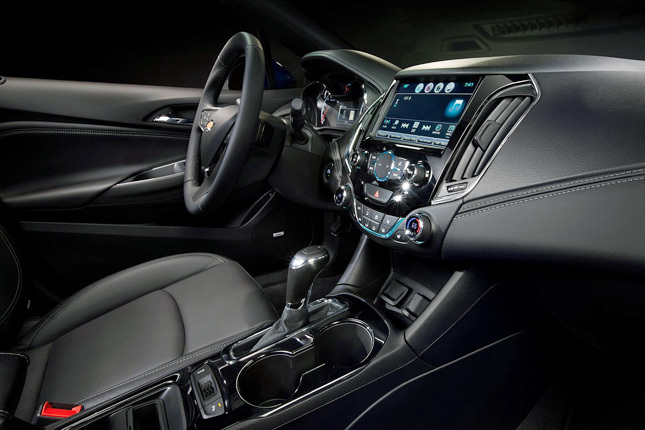 Then there are stuff such as wireless phone chargers, a high-resolution 4.2-inch display in the gauge cluster, and the MyLink infotainment system that give the passenger compartment a techy and premium feel. 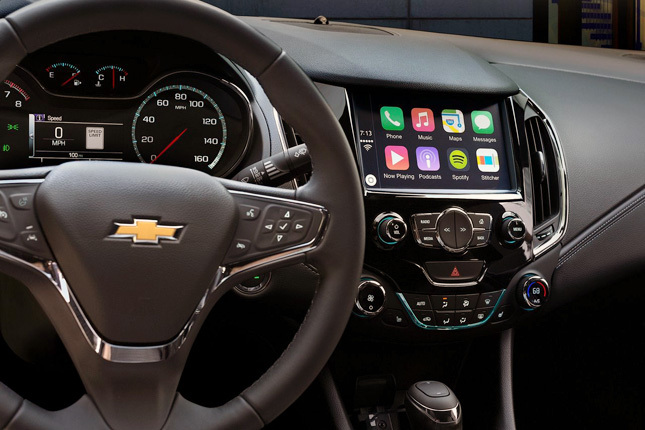 The last bit of tech can even be paired easily with Apple’s CarPlay or Android Auto so you can still keep in touch with the world while being safe on the road. 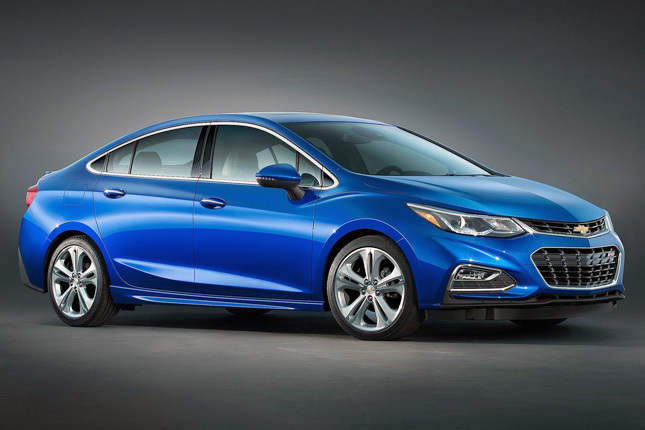 Speaking of safety, the new Cruze will have a host of safety kit like Rear Cross-Traffic alert, Lane Keep assistance, Forward Collision Warning, and Blind Zone warning. These features, however, are mostly available on higher-end models. 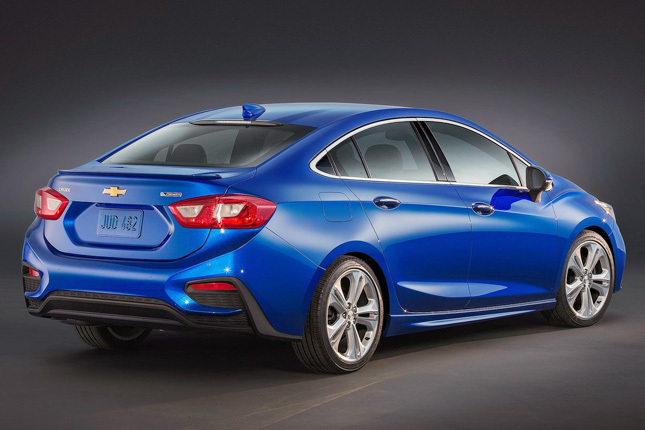 The 2016 Chevrolet Cruze will go on sale in the US early next year. As for our market, we expect it to follow soon after--hopefully with the juicy 1.4-liter turbo lump under the hood, among other goodies.